Nolan Ryan pitched in the Major Leagues for 27 years. Throughout his career, the Hall of Famer appeared in eight All-Star Games, contributed to a World Series Championship, and was an 11-time Strikeout Champion. He holds the record for most strikeouts and most no hitters in a career. He was named to the MLB All-Century Team and became a member of the Baseball Hall of Fame in 1999. 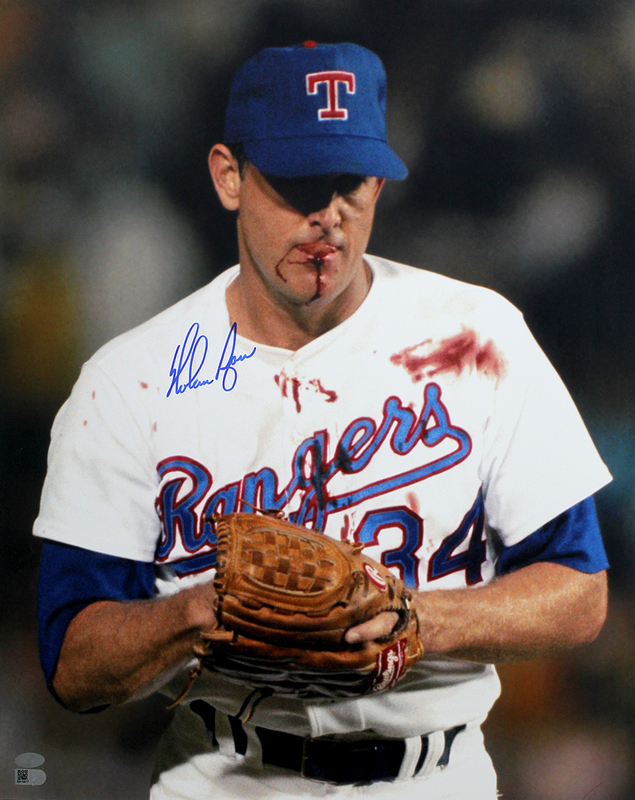 Nolan Ryan has hand signed these Texas Rangers 16x20 photos, picturing Ryan on the mound after being hit in the face with a line drive from Bo Jackson. Each Nolan Ryan autograph is guaranteed authentic, and includes an individually numbered TRISTAR Authentic hologram.